The beginning of a new year is filled with hope and expectations of what is yet to come. Whether you are firm believer that a new year is a new beginning or simply another page on the calendar, chances are you will be reassessing the past and planning for the future. I am a huge fan of lists and love reading things like “100 Places to Go Before you Die”. Having read many of these lists I have learnt that no list can apply to every single human being. Thus, my intention here is not to give you a list of how to live a better life or how to make the most of 2011. The plan is to generate thought provoking questions that will empower you to come up with your very own answers that will help you live the life you want. Someone once said that it is better to have some of the questions rather than know all the answers. These questions are not meant to be answered all at once. They are to be thought about on a regular basis and will become part of your personal journey. 1. What am I grateful for? 2.	Who do I love? 3. What am I doing about it? 4. What do I love about myself? 5. What am I doing to help others? 6. What makes me a good person? 7. What makes me happy? 8. How do I inspire myself? 9. How do I have fun? 10. Have I seen enough of the world? 11. When was the last time I tried something new? 12. What are my dreams? 13. What am I afraid of? 14. How is my lifestyle healthy? 16. What bad habits do I want to break? 17. What new habits do I want to create? 18. What is missing in my life? 19. What am I most proud of? 20. How would I describe myself in 2 sentences? The type of questions you ask will affect the type of life you live as they will trigger a set of answers that in turn will lead to your decision to take action or not. Last question, what will you do differently, starting now, as a result of your answers to these questions? Powerful questions are at the heart of creating self awareness and generating personal growth. In my Coaching sessions I support clients in finding the answers within themselves by asking the right questions. 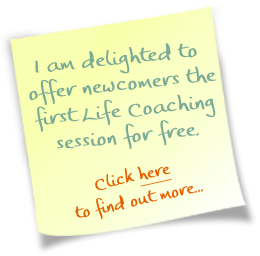 Why not sign up for a FREE Coaching session and find out for yourself? What have you got to lose? Did you like this article? Sign up via Email or RSS to get the latest updates on diverse topics. Written by Ana Antunes da Silva. Image by Flickr user Gumption. Good post, thanks for posting. It was good to read on this boring day! Thanks fellow Coach! I am delighted you enjoyed the post and it kept you entertained! Hi, I think your website might be having browser compatibility issues. When I look at your blog site in Ie, it looks fine but when opening in Internet Explorer, it has some overlapping. I just wanted to give you a quick heads up! Other then that, very good blog! 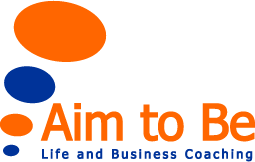 As a Life and Business Coach I focus on helping individual and business clients achieve personal success and fulfilment. I moved to the UK in 1997 and my international experience enables me to have an open minded approach to provide the attitude, mindset and skills needed to empower others to achieve their goals. - Read testimonials about Ana. Some of my favourite Inspirational Quotes and Motivational Poems are collected on this page. "Ability is what you are capable of doing. Motivation determines what you do. Attitude determines how well you do it." I'm so glad you enjoyed reading my blog posts and learning more about life and business coaching. If you'd like to contact me to find out more, please click here. Is it important to say ‘Thank you’ at Work? Do Fairytales Affect our Percpetion of Reality?